Round facial contour no longer make up the high fashion look that men and women look up to nowadays. With the rise of more aristocratic features such as high cheek bones, well defined jaw line, straight nose, and deep set eyes, the childish feature know as the “chipmunk cheeks” already seems out of place. Though a full face characterizes youth, chubby cheeks that don’t exactly compliment the rest of your facial features will actually make you look older. With facial symmetry being the yard stick of beauty, any feature out of proportion can now be corrected with cosmetic and plastic surgery. 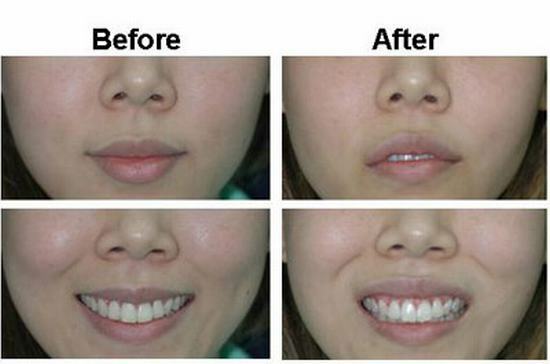 For those with “chipmunk cheeks”, buccal fat removal in Thailand is the only possible solution. WHAT IS BUCCAL FAT in Thailand AND WHO ARE THE CANDIDATES FOR THE PROCEDURE? 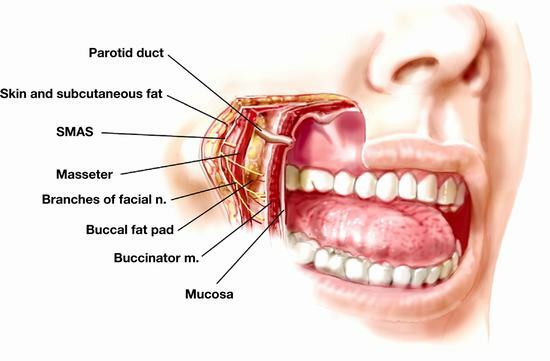 Buccal fat pad is the mass of fat responsible for the volume or fullness on the lower cheeks. It is a deep fat pad that is located between the deeper muscles of either sides of the cheeks. Though questions has been raised regarding the benefits and theoretical side effects of buccal fat removal in Thailand, this cosmetic procedure is still continuously gaining popularity especially with Asian women who typically have rounder facial features. Basically, patients who would like to undergo buccal fat removal are encouraged to look in to their genetic predisposition first before deciding. In general, most of us lose volume on our face as we age, however, some people have a genetic predisposition towards the fuller facial contour which makes their face rounder even as they reach their 40’s. If you want to have buccal fat removal, you will have to take a look at your parent’s face and see if theirs has significantly thinned down from their youth to their current age, if they have, you have to think twice about undergoing buccal fat removal as there is a great chance that your face will also become slimmer as you age. If your parents has maintained the roundness of their face from youth, then there is a great possibility that you will also maintain yours, and the only way to slim it down will be to undergo surgery. WHAT HAPPENS DURING YOUR CONSULTATION FOR BUCCAL FAT REMOVAL in Thailand? During your initial visit with our surgeon, Prof. Somyos Kunachak, one of the best plastic/cosmetic surgeon in Bangkok, he will examine your facial features, muscles, and bone structure to determine if you are a good candidate for the Buccal Fat Removal in Thailand. Not all facial roundness may be attributed to buccal fat deposit, other factors such as muscle hypertrophy, wide mandibles, fat deposit along the jaw line may also cause fullness on the lower face. In cases where jowl fat is also a concern, buccal fat removal may be done in combination with cheek liposuction in Thailand for optimum results. After evaluation, our surgeon will recommend the best approach to achieve the result that you want. After this, you can start planning your course of treatment then proceed with the surgery. HOW IF BUCCAL FAT REMOVAL in Thailand PERFORMED? Buccal fat removal or extraction can be done either under general or local anesthesia. The choices will be discussed during your consultation with Prof. Somyos Kunachak then your choice will be carried out during the surgery proper. The whole procedure typically takes 1-2 hours with a 1cm incision placed inside the mouth between the cheek and the gums. The incision will be towards the back of the mouth where our surgeon will cut through the muscle. Typically, surgeons push the fat out through the incision, but at Yoskarn Clinic, our surgeon uses as special canula to gently extract the buccal fat to avoid injury to the surrounding tissues. The amount of fat that will be removed depends on the size of your buccal fat pad and your desired result, and this can only be judged during surgery, and this is where the experience of your surgeon spells the difference between a balanced facial feature and a gaunt look after recovery. Though asymetry is always possible after surgery, these asymetry should be as inconspicuous as possible. Dissolvable sutures will be used to close the incision so there will be no need for suture removal during your follow up check ups. HOW LONG IS THE RECOVER PERIOD FOR BUCCAL FAT REMOVAL in Thailand? With the special technique that Prof. Somyos Kunachak uses to extract the buccal fat pad, downtime is usually negligible. Mild swelling may persist for 3-5 days and bruising is very rarely seen. Food intake will be restricted to soft diet for the first 4-5 days to avoid stress on the incision site due to chewing. Acidic and spicy foods may irritate the incision so these foods are highly discouraged. Numbness, tingling sensation, pain, tightness, and a pulling sensation will be normal for the first 2 weeks after buccal fat removal due to some tissue and nerve damage but it will gradually resolve as the site heals. Due to swelling on the first few days, post-operative patients are expected to start to appreciate the result 2-3 weeks after surgery. Though some may see the difference in as short as 1 week, the average healing time will take about a month. Symmetry will not be absolute but any difference should not be readily noticeable. Since both sides of the face or the body in general heal at a different rate, asymmetry will be normal for the first month after surgery. In some cases however, the existing amount of buccal fat on either side of the cheek is not equal hence symmetry will be a bit hard to predict. As a final result, you will notice a slimmer, more contoured face that will compliment your more defined facial features. Aside from world class surgeons and medical team state of the art equipments and innovative techniques, we also have staffs who are professional yet warm so you can be sure that your Buccal Fat Removal surgery with us will be nothing but comfortable.